Somebody’s got Red all figured out! 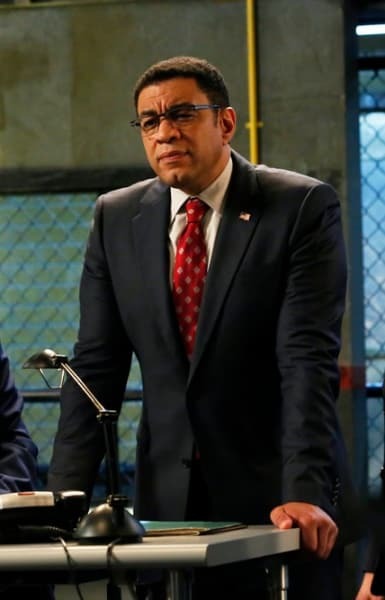 He didn’t seem too pleased that the good doctor was quick to expose his darkest secret on The Blacklist Season 6 Episode 6. Even though he didn’t acknowledge the truth of it in any way, it had to have terrified him. The doctor quickly unraveled all the layers he’s tried to envelope himself in over the years. If she knew he was an imposter (even if she meant it metaphorically), how soon before others figured it out, too? He doesn’t know that Liz knows he’s an imposter yet, but he knows his time is running out. And so are his options. You’re masquerading. Leading a double life pretending to be someone you’re not. If you’re divorced from social norms, it’s because you’re divorced from a side of yourself I can’t see because you’re terrified of letting other people see it. Why? I don’t know. But whatever pathologies you have, I think it can be traced to the fact that while most people see you as an iconic bad guy? You’re really just an imposter. It didn’t go as smooth as he had hoped because the guy was drugged up to the hilt, but Red was at least able to get a name. Whether General Shiro is a real person or just a guy Atticus made up in his messed up mind is something we’ll find out soon enough. Red thought how things were going was exasperating, but I’m always impressed with how he’s able to problem solve so effectively. Skittles. Nice move, Red. I’ve never been in a mental institution, so I have no idea what it’s like inside, but it doesn’t seem plausible to me that a facility like that would have a vending machine available to its residents. Most all of the patients, except for Red, seemed pretty strung out. Also, I can’t imagine any of them being able to carry money around so freely because of the danger of swallowing the change, the possibility of fights or stealing. I don’t begrudge any TV show for doing what it needs to do to advance a story, and The Blacklist has done a lot of stretching in its time, but the vending machine was too convenient. Still, it wasn’t all easy for Red. I don’t think he wanted to leave the facility so early, but Red’s perceived “saving” of the doctor got him discharged back to the court. What I don’t understand is why he’s not trying to find out who called the police rather than continuing to search for people who knew him way back when. Has he somehow connected the dots and figured out that whoever left the tip must have some knowledge that he’s not who he says he is? I also wish he would stop talking to Liz. He doesn’t need to tell her every little thing he’s doing and why. He never did before so why is he doing it now? Liz is getting craftier, but she doesn’t have enough experience to play the big con yet. She’s still running on emotions which are going to cause her to make the very mistakes she did this hour. But she’s not as smooth as Red, so it was inevitable that her deception would get revealed. She’s got to have someone on her side, so he seems like the most logical choice. 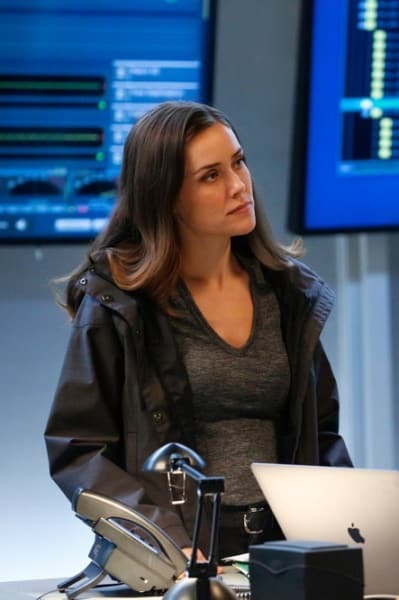 Ressler also hates Red, and once he learns what Liz is up to, he’ll do whatever he can to help Liz and Jennifer solve the mystery and bring down Red once and for all. And with Harold and the rest of the Task Force on Red’s side (because you know that’s how it’ll be), the only thing those three will be doing is sitting on the outside looking in. I’m not quite sure why Jennifer was so upset about Liz letting The Ethicist kill himself in exchange for the name of the nurse. It is possible that if Jennifer decides to take the high road that Liz might eliminate her. It’s clear that Liz won’t let anything stand in her way — not even her sister. Liz might be one step ahead of Red at this point. She’s looking for the nurse who supposedly knows the true identity of Red while Red is looking for someone who may or may not be real. I don’t believe for a minute that Liz is going to win this race, but it’s getting more and more difficult for Red to gain traction. He needs a miracle — and soon! Is Liz ahead of Red in the race? Why isn’t Red focused on finding the identity of the caller? 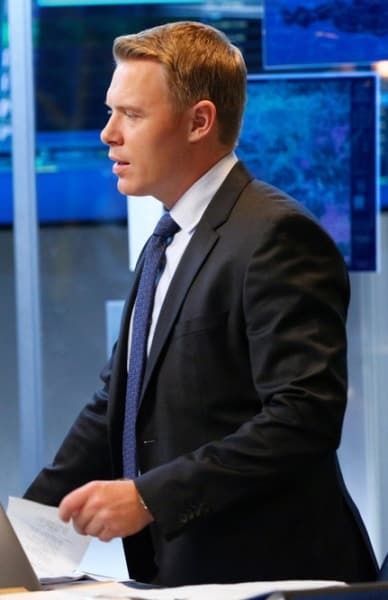 Is Ressler really on Liz’s side or is he just biding his time to get that gold FBI star?